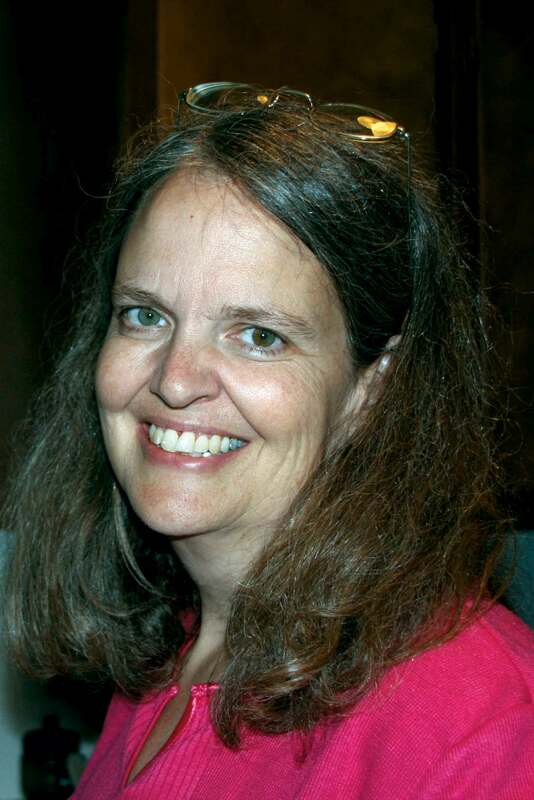 Katy McShane (South Bend) died October 9, 2010, at age 51 from pancreatic cancer, just a few months after the cancer was diagnosed. No one could possibly list all the projects and activities she was involved in, or the hundreds of people she knew, or the hundreds of lives she touched. In tribute to her, we are publishing excerpts from her husband Kevin’s sharing from the evening wake service held in the branch center, along with excerpts from a sharing delivered by Kerry Koller, president of Trinity Schools, at her funeral mass the next morning on October 15. Katy Moo was born in South Bend May 20, 1959, and joined the People of Praise March 1, 1976, when she was 16. In those days, high-school students weren’t invited to come underway, but Katy was so determined to join the community that we made an exception. She made the covenant September 30, 1979. She and Kevin were married June 21, 1986, and their union was blessed with four children: James, Kevin, Sarah and Mary Kate. James and Kevin are members of the South Bend branch, and Mary Kate is in Action. Katy taught math and science at Trinity School for many years. This evening I am blessed to have this chance to honor my wonderful wife, who was my helpmate and the love of my life. Katy was self-sacrificing in everything that she did. This was true in so many areas of life that it resulted in our perennial conversation about her being over-committed. Many times Katy would convince me that, with all the needs out there, it really made sense for her to continue doing almost everything that she was doing. It was hard to argue with her on this point, since it was true that she had all the gifts that she needed to do the task—or, rather, the tasks. We did as much as we could together. When our kids were young, raising them was our common work. But as they got older it became clear that our lives could become simply a parallel existence if we didn’t make specific decisions that would allow us to work together as husband and wife. That thought became the foundation for how we approached Katy’s involvements. Katy had a keen sense of priority, with building the kingdom of God being the highest priority. Katy was very hospitable. She loved our family meals, Lord’s Day celebrations and holiday traditions. We tried to have people over for dinner often. She wasn’t daunted by the hole in the kitchen ceiling, which was open for over a year. I referred to it as our “future skylight,” which she thought was moderately humorous. She loved the outdoors. We took our family to nearby state parks and went on hikes together, followed by a picnic. We also went camping as a family. Katy has left us a legacy in our children, whom she helped to form into the strong, loving young men and women that they are. When I think of how much I miss Katy, I turn to these four young people, who meant so much to her. All have grown in maturity and they love the Lord in their own way. They each have close friends that they care for and enjoy, much the same way Katy did through her life. Each has Katy’s love of learning as well. This last year has been quite unusual. The February before last, Katy broke her ankle slipping on the ice. This became quite a trial for her. To get up the stairs in the house she would have to sit down and push herself up each step. Katy found a gym that had workouts early in the morning, and she signed up for the introductory boot camp. A month later, I joined her there. We quickly became much more in shape and healthy. We felt in some ways like we had cheated death, and thought that we might even live longer as a result. This summer, when Katy received the diagnosis of pancreatic cancer, we shifted to thinking of the immediate term. We talked about how instead of training for old age she was training for the fight of her life, because the treatments available for this type of cancer are not as effective as for others. We made plans to have life be as normal as possible through the course of the treatments. This seemed to be a comfort to Katy, since her life revolved around family, school and the community. In the hospital, she showed her love of her work at Trinity and her family and friends. (When the medicine and weakness would make her confused, she would often start teaching chemistry or calculus to those in the room!) She would rally her strength for those times she had with her children and her close friends, and would listen intently to their words. This required great effort in her weakened condition. She was also concerned about the comfort of those who were in the room, even when her own suffering was apparent. She would look some in the eye and declare her love for them. Many times she would flash her patented smile, which gave us all much joy. God blessed each moment that we had with her, and for that we are grateful and we praise God. I loved Katy, though imperfectly, but now she can enjoy the perfect love of her Father God, Jesus her Savior and the Holy Spirit who guided her along the way. Many of us here today know Katy from the life we shared with her, day in and day out, as students, parents, faculty and staff at Trinity School, and that’s the perspective from which I want to honor her. From that point on we just kept our eye on the day when she would be able to rejoin us. In fact, we never let an occasion go by when we didn’t remind her of this, throughout her 14-year maternity leave. We were thrilled when she returned to Trinity in 2003. I’ve been involved with Trinity since the beginning and have taught at each of our campuses. In my entire experience over all these years, there is no more dynamic and iconic instance of the notion of the community of learners than what I saw every day in the faculty room at Greenlawn, happening among Tom Finke, Pat Malone and Katy McShane. Katy and Pat’s desks were next to each other and Tom’s office was right behind them. Every day the three of them worked together on their laptops on mathematics, MatLab or science. They would ask one another questions, show one another a problem one of them had just solved, or ask for help in teaching this or that concept. This conversation went on virtually every day and they were engaged in it most of the time they weren’t in class. It was quite remarkable. Thank you for sharing this! More opportunities to appreciate this wonderful sister of ours who made such an impact on so many! My dear sweet Kate--I have loved her since the day she moved into our house when she was a student of Tom's. She was just a sophomore. I had her for summers, but alas she moved to another household. I never stopped teasing her to get her back until she and Kevin met and got married. Kevin also lived in our household. They were a wonderful couple and great parents. I feel her hands on my shoulders as I write this. Her head is on top of my head, her hair hanging on my shoulders, and she is smiling away.